Riedel, the worlda��s premium glassware maker, runs a business that is centuries old, currently headed by 11th generation scion Maximilian Riedel. It also makes some of the most scientifically innovative wine and whisky glasses in existence, many individually handcrafted. Its business is formed on the belief that the shape and structure of a glass completely changes onea��s wine drinking experience. At the Bangalore Wine Cluba��s Riedel dinner last Friday, held at the Sheraton Granda��s Italian restaurant, Bene, members got a first-hand experience on how science impacts drinking pleasure. Alexander Zorin, their sales head for Russia, the Baltic States, Middle East and India, led us through a tasting that involved wines from four different grape varieties a�� Riesling, Cabernet Sauvignon, Chardonnay and Pinot Noir a�� in four different sets of glasses made specially to enhance the taste of those specific grapes. 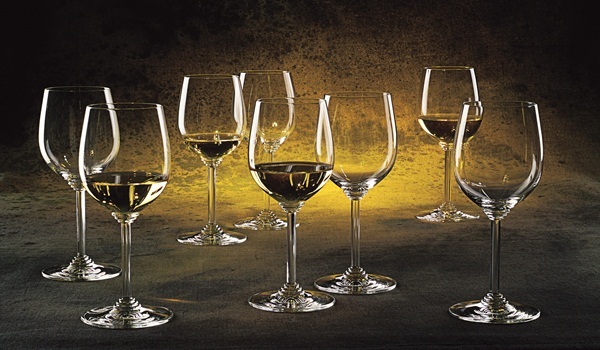 The sizes of the glassesa�� bowls, the width of the rims and the shapes varied in all cases. a�?Wine was invented 8,000 years ago, and ever since, wea��ve been drinking wine, wea��ve needed glasses,a�? said Zorin, a qualified sommelier himself. a�?Each grape variety has its own unique characteristics a�� acidity, sweetness, tannins, alcohols. By creating unique shapes of glasses, from rim diameter to depth of bowl, we control the flow of aromas and the liquid itself,a�? he says adding, a�?But a lecture is only a lecture, come see for yourself at the tasting.a�? So, along with 60 other members of the wine club, I swirled, nosed and sipped a�� occasionally even poured the same wine from one glass into another just to understand Zorina��s argument, which he proved time and again. Yes, the Riesling tasted best in the glass designed for it, the Pinot Noira��s aromas blossomed in its wide-bowl goblet, and so on. So is it really worth buying a glass that costs `3,500? The debate is still on. But with a growing number of connoisseurs looking to invest in fabulous wines, a little extra spend on a glass doesna��t seem unreasonable. Not that these a�?pieces of arta�� as Zorin describes the glasses, are only for delicate handling. In fact, in keeping with modern times, they are even dishwasher proof. Riedel spends time and effort on research before they launch a new glass, and customer test-marketing dictates the final product. And for those balking at spending big bucks for a wine glass, Zorin has this to say: a�?You spend on a bottle of wine. If that wine doesna��t taste as ita��s meant to be, therea��s no purpose in buying it. For beginners, Ia��d say understand which type of wine (or grape or style) you like a�� and buy a couple of glasses suitable for that. You will be rewarded.a�? As for Riedel glasses being only for a�?wine expertsa��, he adds, a�?You dona��t need to be an expert to understand how a good glass improves the taste of wine, you just need taste receptors in your mouth.a�?